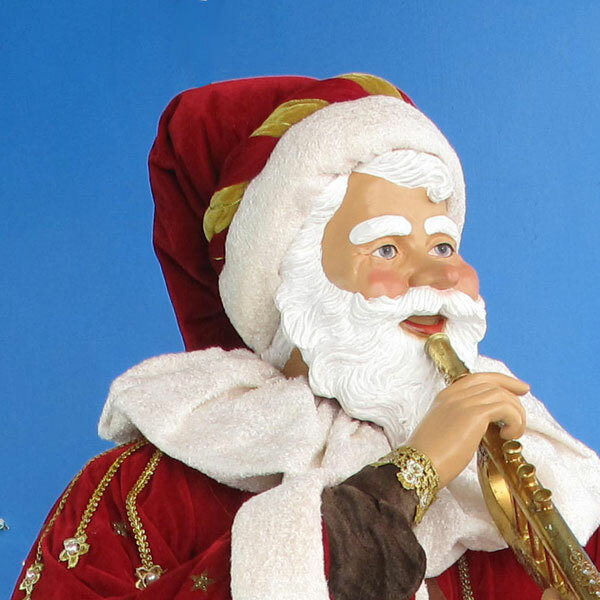 AlRiver Life-Sized Santa with Horn - Resin/Fabric - 69"
Featuring a soulful resin face and hands and detailed fabric clothing, this AlRiver 5-foot Santa figure brings a spectacular spirit to your home or business. 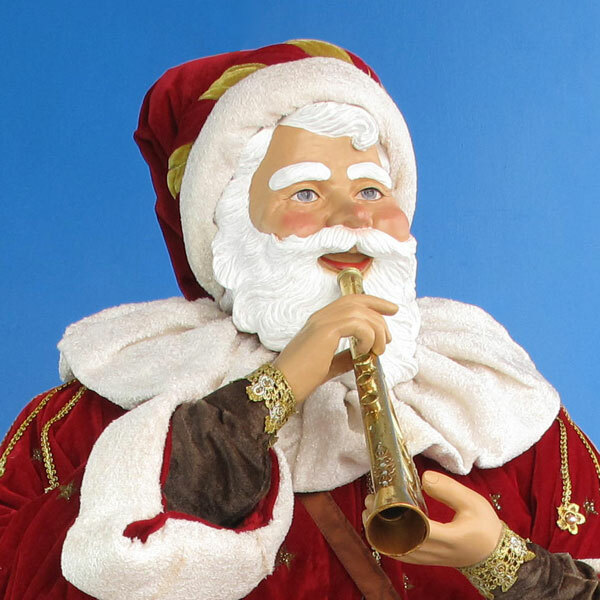 Mr. Claus is depicted blowing a traditional Christmas horn and wearing enchanting metal-adorned clothing. 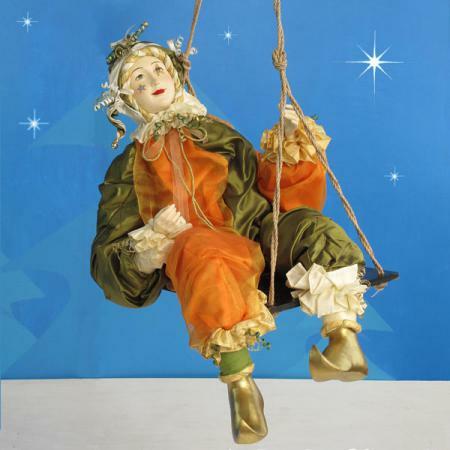 Santa makes a welcoming addition to the threshold of any home, store or shopping mall. Designed by Christmas Night Inc.
Dimensions: L 28" W 27" H 69"
Robes and decorations are carefully folded in carton for travel. 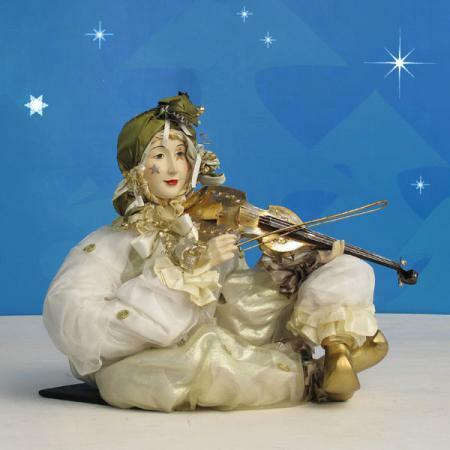 When you take each figure out of its carton you will need to straighten and arrange the robes and decorations creatively so that they display in their full splendor. Store in the shipping carton in a dry location.